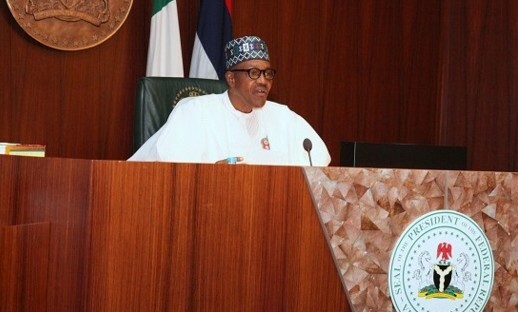 The President, Muhammadu Buhari has written to the Nationally Assembly to formally request the withdrawal of the 2016 Appropriation Bill he had presented to a joint session of the federal legislature on December 22 for adjustment to reflect some present realities. President Buhari's letter was addressed to Senate President Bukola Saraki and Speaker of the House of Reps, Yakubu Dogara. The formal request followed controversy over the alleged secret changing of the original budget document. The controversy over the budget raged all through last week, with some direct attacks. According to THISDAY, it emerged that the budget saga, which became the source of the growing confusion, arose from Senior Special Assistant to the President on National Assembly Matters, Senator Ita Enang’s alleged adoption of a sneaky approach in the pursuit of an otherwise legitimate objective. It was gathered that Buhari had discovered after presenting the 2016 budget to the National Assembly that some of the figures proposed for operations in the Presidency and the State House were being publicly criticised as outrageous and higher than those of his predecessor, Goodluck Jonathan. Given Buhari’s austere nature and the change agenda of his party, the figures for the subheads in the budget for the office of the president, vice president, and a few ministries, which went viral on the social media and had become a major topic of discussion in the media, were a huge embarrassment. To reflect the public mood, President Buhari was said to have directed the recall of the 2016 budget from the National Assembly for review. Ordinarily, the review process should have entailed a written request from the president to the National Assembly calling for the withdrawal of the budget. And now that President Buhari's letter has been sent to the national assembly, the matter will be rested.